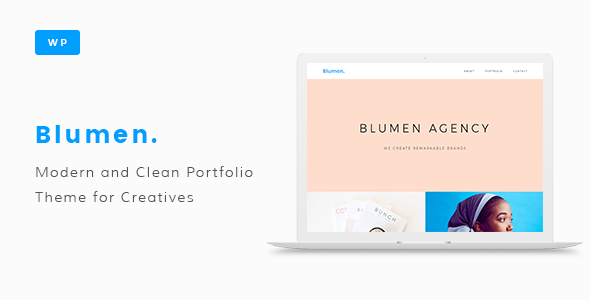 Blumen is Modern and Clean Portfolio WordPress Theme crafted to showcase your best works. Simple, elegant layout with clean typography will help present your works in professional and pleasant way. Minimalist and clean design keeps user attention and places an emphasis on your content. Theme is perfectly suitable for graphic & web designers, creative agencies, freelancers, photographers etc. Thanks for checking out Blumen! Feel free to contact us with any questions or comments you may have.If you like Blumen, please remember to rate it.